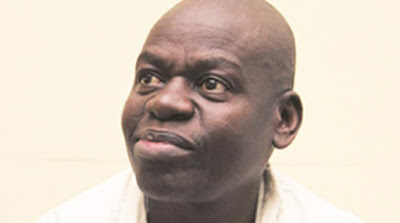 A Harare magistrate is on April 10 expected to make a ruling on the application for discharge at the close of the State case by jailed RMG Independent End Time Message leader Robert Martin Gumbura and eight other inmates accused of attempting to escape from prison. The foiled jailbreak took place in 2015 and the prosecution, led by Mr Michael Reza, finally closed its case last month after calling 10 witnesses who testified against the conspirators. Gumbura is jointly charged with Blessing Chauke (29), Lucky Mhungu (42), Taurai Dodzo (51), Thomas Chacha (41), Thulani Chizema (36), Jacob Sibanda (32), Elijah Vhumbunu (42) and Lucky Matambanadzo (43). They are facing several charges, including attempting to escape from prison. They initially appeared in court on March 30, 2015. During trial, they took turns to make a cocktail of applications which contributed to delays in the progression of the case. After the close of the State case, the prisoners’ lawyers —Professor Lovemore Madhuku and Mr Tapson Dzvetero — filed an application for discharge. Magistrate Mr Francis Mapfumo was expected to deliver his ruling yesterday, but could not do so after the defence and the State filed their applications late. Mr Mapfumo said he needed time to go through the defence’s application and the State’s response before coming up with a ruling. He deferred the matter to April 10. The nine are accused of masterminding a foiled jailbreak at Chikurubi Maximum Security Prison in 2015. They are facing charges of attempting to escape from lawful custody, incitement in aggravating circumstances or alternatively conspiracy in aggravating circumstances for malicious damage to property. It is alleged that during the morning of February 13, 2015 in B Hall, Gumbura allegedly incited other inmates to protest over the type of food they were being served. Chauke, Matambanadzo, Mhungu, Dodzo, Chacha, Sibanda, Vhumbunu, Chizema and three other inmates who are now deceased, allegedly also influenced inmates to reject the porridge they were served, which had no sugar, to aid their escape.